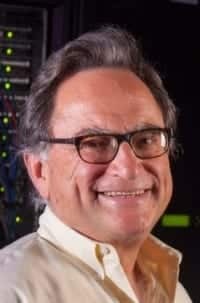 As a UW-Madison professor of computer sciences and director of the Center for High Throughput Computing, I serve both Morgridge and the Wisconsin Institute for Discovery by providing the advanced computing tools and infrastructure necessary to facilitate the leading-edge work of scientists in both institutes. I specialize in distributed computing and work with researchers around the world to advance computer and data intensive science. Our center brings together a unique ensemble of scientists whose goals are to stimulate new discoveries by providing scientists with effective and dependable access to a broad range of state-of-the-art computing capabilities. By dramatically increasing their computing throughput, scientists who use our open facility have greatly increased the size and complexity of the problems they study. As a leading research institute, Morgridge will bring together the next generation of students, educators and researchers in human health and in distributed computing to jointly address the frontiers of scientific computing.